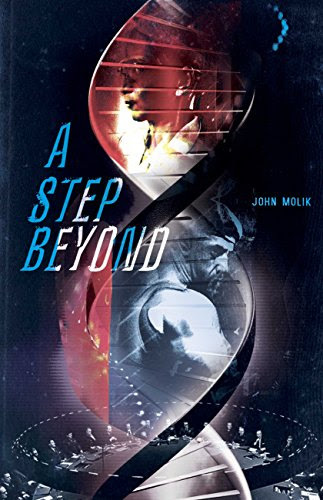 Thank you for joining us on the Virtual Book Tour for A Step Beyond, a Thriller by John Molik (29 January 2017, BookBaby, 322 pages). This is the second book in The Horsemen Trilogy series. Author John Molik will be awarding a $10 Amazon/BN gift card to a randomly drawn winner via Rafflecopter during the tour. Please do take part: comment on our post and follow the tour where you will be able to read other excerpts (☀). Dr. Brigitte Sheen, an ambitious scientist, and her colleague develop a gene therapy system to extend human life spans. Money owed by a Chinese investment conglomerate for bearer bonds taken from the shadow government known as the Horsemen never gets paid—but for good reason. 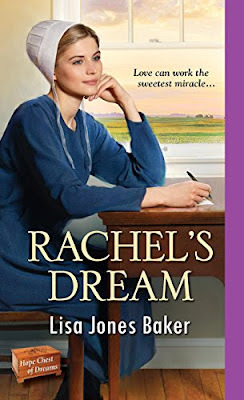 Thank you for joining us for the Release Celebrations for Rachel's Dream, an Amish Inspirational Romance by Lisa Jones Baker (25 April 2017, Zebra, 352 pages). This is the third book in the Hope Chest of Dreams series. Author Lisa Jones Baker will be awarding a $50 Amazon/BN gift card to a randomly drawn winner via Rafflecopter during the tour. Please do take part: comment on our post and follow the tour where you will be able to read other excerpts (☀). Thank you for joining us on the Virtual Book Tour for Big City Heat, a Hard Boiled Mystery by David Burnsworth (25 April 2017, Henery Press, 294 pages). This is the third book in the Brack Pelton Mysteries series. 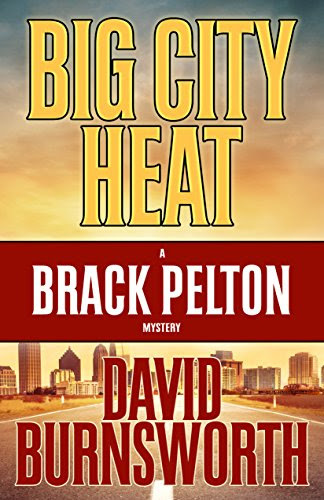 Author David Burnsworth will be awarding a one $15 Amazon.com Gift Card, and one eBook copy of Big City Heat to five randomly drawn winners via Rafflecopter during the tour. Please do take part: comment on our post and follow the tour where you will be able to read other excerpts (☀), and reviews (✍). Lowcountry bar owner and Marine veteran Brack Pelton heads to Atlanta in the wake of a panicked three a.m. phone call. A woman is missing and Brack's friend Mutt is in danger. 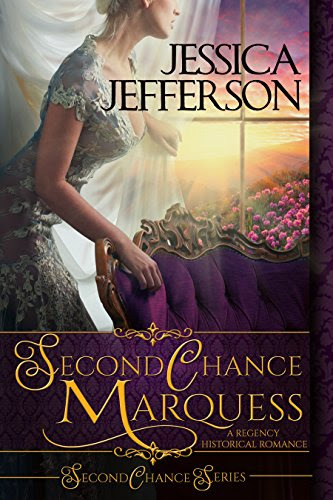 Thank you for joining us on the Virtual Book Tour for Second Chance Marquess, a Regency Historical Romance by Jessica Jefferson (21 March 2017, Dragonblade Publishing, 162 pages). 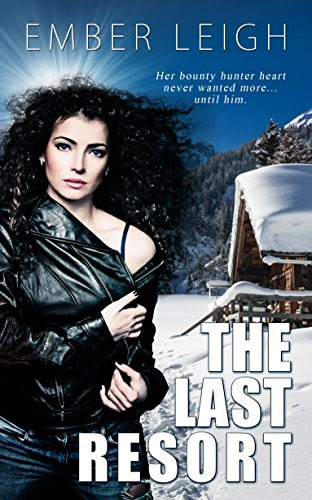 This is the first book in the Second Chance series. PREVIEW: Check out the book's synopsis and our Exclusive Excerpt. Second Chance Marquess is FREE on Kindle Unlimited and Kindle Owner's Lending Library. Author Jessica Jefferson will be awarding a $25 Amazon/BN gift card to a randomly drawn winner via Rafflecopter during the tour. Please do take part: comment on our post and follow the tour where you will be able to read other exclusive excerpts (☀), and reviews (✍). Thank you for joining us on the Virtual Book Tour for Six Impossible Things, a Regency Historical Romance by Elizabeth Boyle (25 April 2017, Avon, 384 pages). This is the sixth book in the Rhymes With Love series. 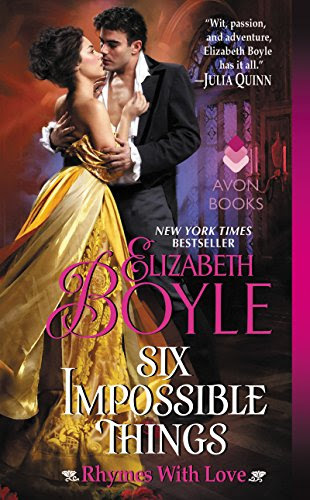 Author Elizabeth Boyle will be awarding a digital copy of Six Impossible Things to a randomly drawn winner via Rafflecopter during the tour. Also join the sweepstakes organised by Avon. The authors will be awarding a digital copy of both books to a randomly drawn winner via Rafflecopter during the tour. Please do take part: comment on our post and follow the tour where you will be able to read other excerpts (☀), and reviews (✍). 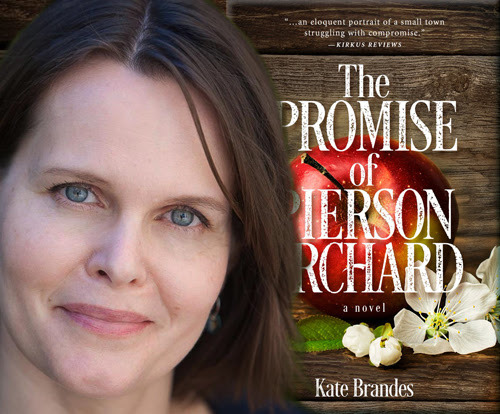 Today we have the pleasure of meeting up with author Kate Brandes to talk about The Promise of Pierson Orchard (22 April 2017, Wyatt-MacKenzie, 288 pages), a Women's Fiction Novel. 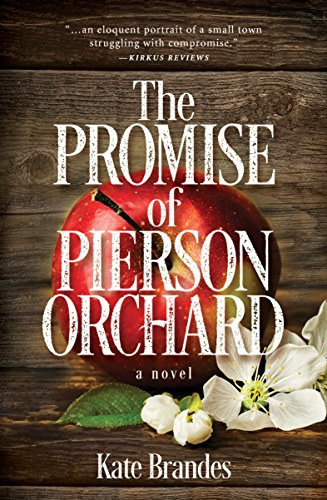 Thank you for joining us on the Virtual Book Tour for The Promise of Pierson Orchard, a Women's Fiction Novel by Kate Brandes (22 April 2017, Wyatt-MacKenzie, 288 pages). Don't miss our interview with author Kate Brandes. The Promise of Pierson Orchard is FREE on Kindle Unlimited and Kindle Owner's Lending Library. Author Kate Brandes will be awarding a $25 Amazon/BN gift card to a randomly drawn winner via Rafflecopter during the tour. Please do take part: comment on our post and follow the tour where you will be able to read other excerpts (☀), interviews (ℚ), reviews (✍) and guest blog posts (✉). 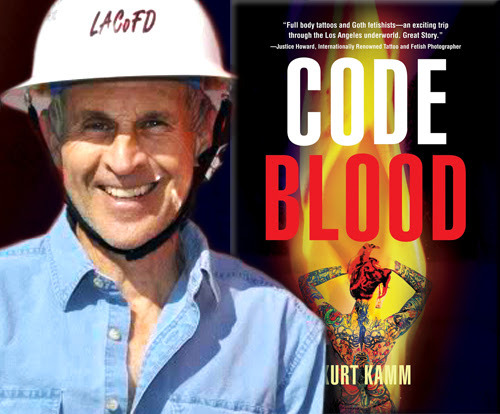 Today we have the pleasure of meeting up with author Kurt Kamm to talk about Code Blood (31 October 2011, MCM Publishing, 234 pages), a Paramedic Thriller / Vampire Suspense. Colt Lewis, a young Los Angeles County fire paramedic responds to a fatal accident. The victim dies in his arms. Her foot has been severed but is nowhere to be found. Who is the woman, and what happened to her foot? During a weeklong search, Colt risks his career to find the victim’s identity and her missing foot. 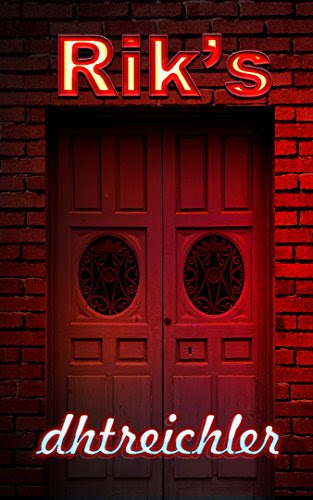 His search leads him to a dark and disturbing side of Los Angeles…an underworld of body part dealers and underground Goth clubs. He uncovers a tangled maze of drugs, needles, and rituals. Emergency medicine, high-tech medical research, and the unsettling world of blood fetishism and body parts make for an edgy L.A. Noir thriller. 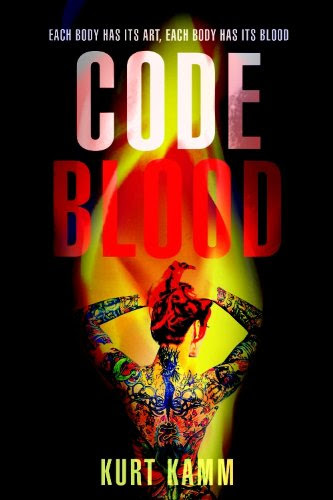 Thank you for joining us on the Virtual Book Tour for Code Blood, a Paramedic Thriller / Vampire Suspense by Kurt Kamm (31 October 2011, MCM Publishing, 234 pages). This is the third novel in the Firefighter Mysteries series. Don't miss our interview with author Kurt Kamm. Author Kurt Kamm will be awarding a $20 Amazon/BN gift card to a randomly drawn winner via Rafflecopter during the tour. 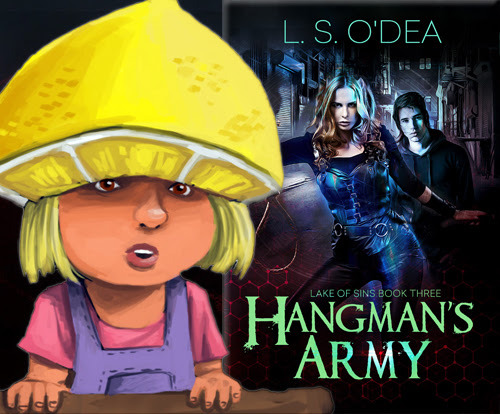 Today we have the pleasure of meeting up with author L. S. O'Dea to talk about Hangman's Army (20 January 2017, LSODea, 583 pages), a Young Adult Dark Fantasy, book third of Lake Of Sins series (which should be read in order; the first two books are FREE for a limited time). Thank you for joining us on the Virtual Book Tour for Hangman's Army, a Young Adult Dark Fantasy by L. S. O'Dea (20 January 2017, LSODea, 583 pages). This is the third book in the Lake Of Sins series, the series should be read in order. The first two books is the series are FREE. Don't miss our guest post, Where Do Characters Come From", by author L. S. O'Dea . Author L. S. O'Dea will be awarding a Kindle Paperwhite to a randomly drawn winner via Rafflecopter during the tour. Please do take part: comment on our post and follow the tour where you will be able to read other excerpts (☀), interviews (ℚ), and guest blog posts (✉). 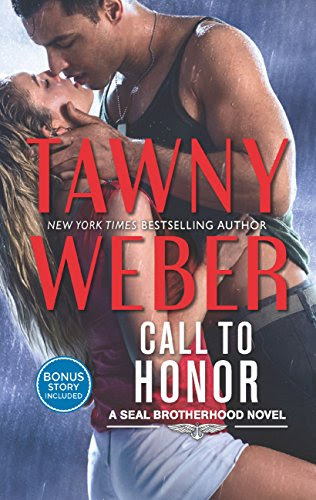 Following our Release Day Celebrations, welcome back for the Virtual Book Tour for Call To Honor, a Contemporary Romance by Tawny Weber (1 February 2017, Mills & Boon, 311 pages). This is the first book in the new Team Poseidon series; Tawny gives us her personal introduction below. PREVIEW: Check out the book's synopsis, teaser trailers and Exclusive Excerpt below. Author Tawny Weber will be awarding a $20 Amazon/BN gift card to a randomly drawn winner via Rafflecopter during the tour. Please do take part: comment on our post and follow the tour where you will be able to read other excerpts (☀), interviews (ℚ), reviews (✍) and guest blog posts (✉). Thank you for joining us on the Release Celebrations for Rik's, an International Thriller by dhtreichler (17 April 2017, dhtreichler, 329 pages). Author dhtreichler will be awarding a $30 Amazon/BN gift card to a randomly drawn winner via Rafflecopter during the tour. Please do take part: comment on our post and follow the tour where you will be able to read other excerpts (☀), and reviews (✍). The entire affair began with sheep brains and falafel -- Saddam Hussein's favorite dish. 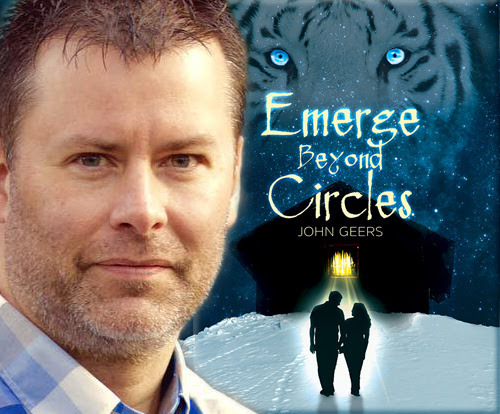 Today we have the pleasure of meeting up with author John Geers to talk about Emerge Beyond Circles (7 January 2017, Small Ring Publishing, 249 pages), a Fantasy, book one of the Eternal Coven series. A very warm welcome to John Geers; thank you for joining us on BooksChatter! What was the inspiration for Emerge Beyond Circles? "I wanted to write a realistic love story. I wanted to write a story that is grand in scope. So I did." 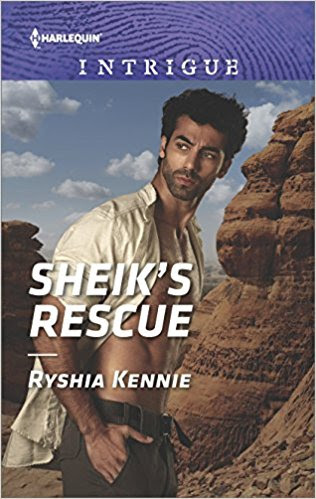 Thank you for joining us for the Release Day Celebrations for Sheikh's Rescue, a Romantic Suspense by Ryshia Kennie (1 April 2017, Harlequin Intrigue, 256 pages). This is the second book in the Desert Justice series. Author Ryshia Kennie will be awarding a $15 Amazon/BN gift card to a randomly drawn winner via Rafflecopter during the tour. Please do take part: comment on our post and follow the tour where you will be able to read other excerpts (☀), and reviews (✍). 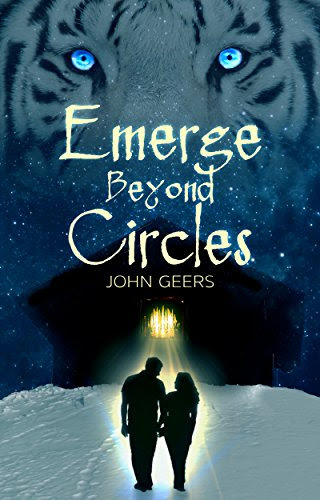 Thank you for joining us on the Virtual Book Tour for Emerge Beyond Circles, a Fantasy by John Geers (7 January 2017, Small Ring Publishing, 249 pages). This is the first book in the Eternal Coven series. Don't miss our interview with author John Geers. Author John Geers will be awarding a $25 Amazon Gift Card, a signed paperback edition of EBC, and an adorable Draconis stuffed tiger to a randomly drawn winner via Rafflecopter during the tour. Please do take part: comment on our post and follow the tour where you will be able to read other excerpts (☀), interviews (ℚ), reviews (✍) and guest blog posts (✉). 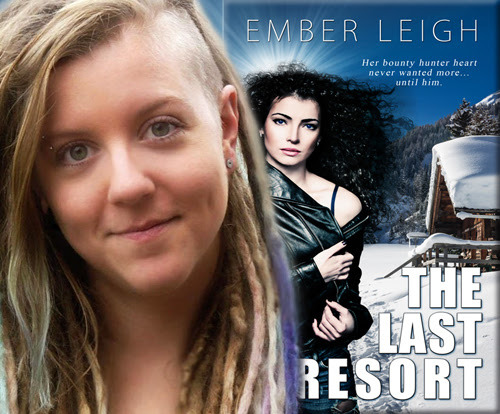 Today we have the pleasure of meeting up with author Ember Leigh to talk about The Last Resort (17 March 2017, The Wild Rose Press, Inc., 250 pages), a Contemporary Romantic Suspense. A very warm welcome to Ember Leigh; thank you for joining us on BooksChatter! 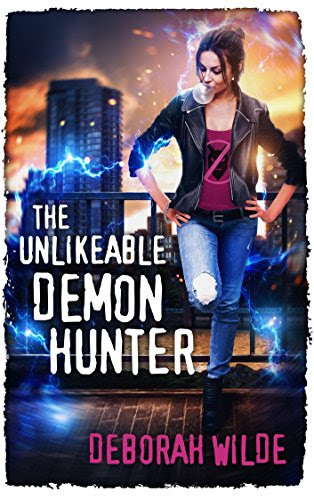 Thank you for joining us for the Release Day Celebrations for The Unlikeable Demon Hunter, an Urban Fantasy Romance by Deborah Wilde (18 April 2017, Te Da Media, 321 pages). This is the first book in the Nava Katz series. The Unlikeable Demon Hunter is FREE on Kindle Unlimited and Kindle Owner's Lending Library. Author Deborah Wilde will be awarding a $15 Amazon/BN gift card, and a print copy of the book to randomly drawn winners via Rafflecopter during the tour. Please do take part: comment on our post and follow the tour where you will be able to read other excerpts (☀), reviews (✍). 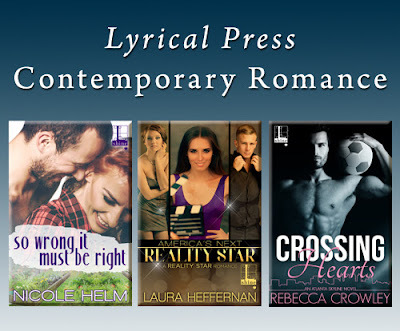 Thank you for joining us on the Virtual Book Tour for The Last Resort, a Contemporary Romantic Suspense by Ember Leigh (17 March 2017, The Wild Rose Press, Inc., 250 pages). Don't miss our interview with author Ember Leigh. Author Ember Leigh will be awarding a $15 Amazon/BN gift card to a randomly drawn winner via Rafflecopter during the tour. 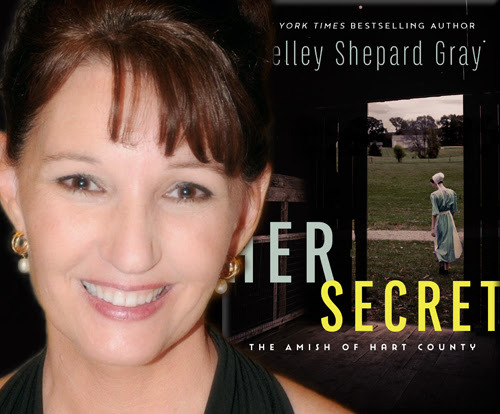 Today author Shelley Shepard Gray takes over our blog to tell us about her latest novel, Her Secret: The Amish of Hart County (14 March 2017, Avon Inspire, 272 pages), an Inspirational Amish Romantic Suspense. 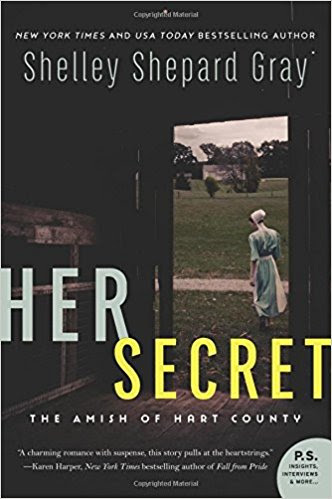 Thank you for joining us on the Virtual Book Tour for Her Secret: The Amish of Hart County, an Inspirational Amish Romantic Suspense by Shelley Shepard Gray (14 March 2017, Avon Inspire, 272 pages). Don't miss our guest post by author Shelley Shepard Gray who tells us "A Bit About Her Secret"
Author Shelley Shepard Gray will be awarding a $25 Amazon gift card to two randomly drawn winners via Rafflecopter during the tour. Please do take part: comment on our post and follow the tour where you will be able to read other excerpts (☀), interviews (ℚ), reviews (✍) and guest blog posts (✉). 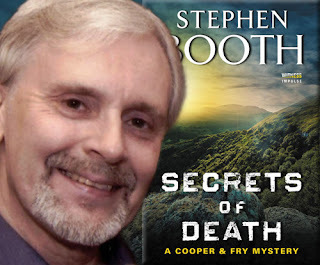 Today we have the pleasure of meeting up with author Stephen Booth to talk about Secrets of Death (first published on 16 June 2016; this edition 4 April 2017, Witness Impulse, 296 pages), a Thriller, book sixteen of the Cooper and Fry Mysteries series. Thank you for joining us on the Release Day Celebrations for Moments, a collection of short stories and poems by Harmony Kent (14 April 2017, Harmony Kent Author Services, 195 pages). 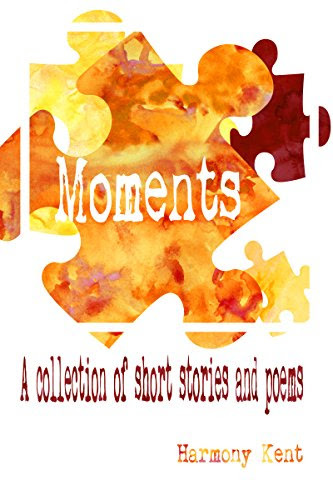 Moments is FREE on Kindle Unlimited and Kindle Owner's Lending Library. 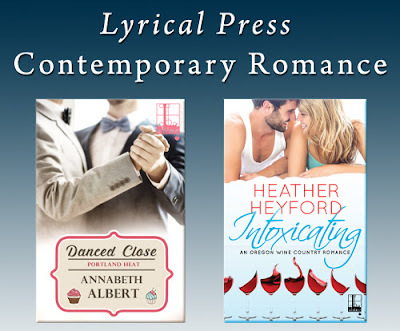 Author Harmony Kent will be awarding a $15 Amazon/BN gift card to a randomly drawn winner via Rafflecopter during the tour. Please do take part: comment on our post and follow the tour where you will be able to read other excerpts (☀), reviews (✍). Thank you for joining us on the Virtual Book Tour for Secrets of Death, a Thriller by Stephen Booth (first published on 16 June 2016; this edition 4 April 2017, Witness Impulse, 296 pages). This is the sixteenth book in the Cooper and Fry Mysteries series. 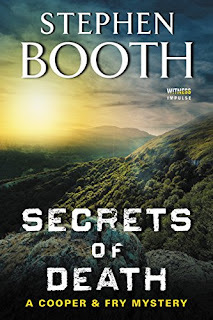 Don't miss our interview with author Stephen Booth. Author Stephen Booth will be awarding a digital copy of Secrets of Death to three randomly drawn winners via Rafflecopter during the tour. Please do take part: comment on our post and follow the tour where you will be able to read other excerpts (☀), interviews (ℚ), reviews (✍) and guest blog posts (✉). 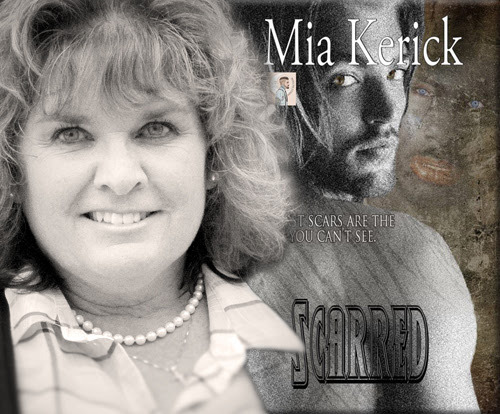 Today we have the pleasure of meeting up with author Mia Kerick to talk about Scarred (1 March 2017, Mia Kerick, 234 pages), a LGBTQ Contemporary Romance. “If I could give this book more than 5 stars I would. It was impossible not to feel Matt and Vedie's pain, their struggle was so difficult and agonizing at times, but they kept going…. Thank you for joining us for the Release Day Celebrations for Team Russian, a Contemporary Romance by Ally Adams (13 April 2017, Atlas Productions, 340 pages). This is the fourth book in the Saints Team series. Team Russian is FREE on Kindle Unlimited and Kindle Owner's Lending Library. Author Ally Adams will be awarding a digital copy of Team Russian to five randomly drawn winners via Rafflecopter during the tour. Please do take part: comment on our post and follow the tour where you will be able to read other excerpts (☀), and reviews (✍). 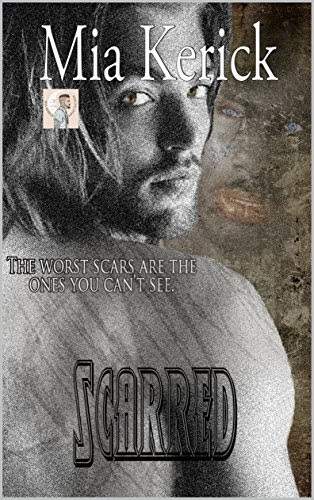 Thank you for joining us on the Virtual Book Tour for Scarred, a New Adult Gay Romance by Mia Kerick (1 March 2017, Mia Kerick, 234 pages). Don't miss our interview with author Mia Kerick. Author Mia Kerick will be awarding a $25 Amazon gift card to a randomly drawn winner via Rafflecopter during the tour. 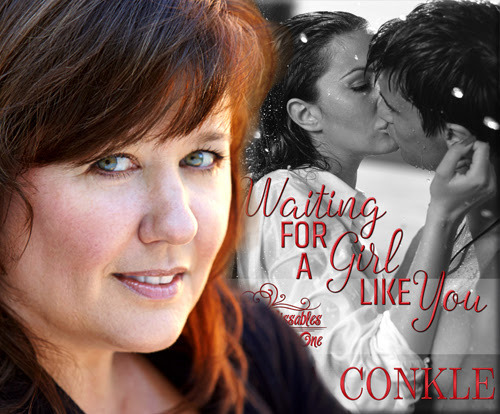 Today we have the pleasure of meeting up with author Gina Conkle to talk about Waiting for a Girl Like You (13 December 2016, Valkyrie Publishing, 181 pages), a HOT Contemporary Romance, book one in the Kissables series. A very warm welcome to Gina Conkle; thank you for joining us on BooksChatter! Thank you for joining us on the Virtual Book Tour for Waiting for a Girl Like You, a HOT Contemporary Romance by Gina Conkle (13 December 2016, Valkyrie Publishing, 181 pages). This is the first book in the Kissables series. Don't miss our interview with author Gina Conkle. Waiting for a Girl Like You is on sale for ONLY 0.99 until the end of May! FREE BOOK! Download Listening to Her, free on Instafreebie. Author Gina Conkle will be awarding an Amazon Kindle Fire 7” to a randomly drawn winner via Rafflecopter during the tour. Please do take part: comment on our post and follow the tour where you will be able to read other excerpts (☀), interviews (ℚ), and guest blog posts (✉). 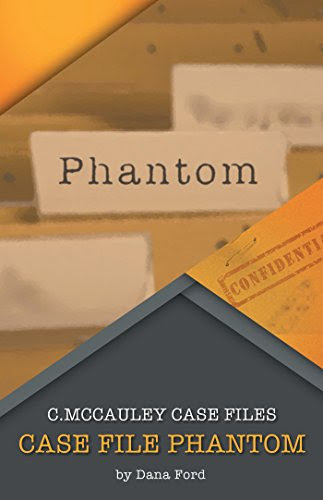 Thank you for joining us on the Virtual Book Tour for Case File Phantom, a Mystery by Dana Ford (17 January 2017, Xlibris US, 122 pages). Don't miss our interview with author Dana Ford below. Author Dana Ford will be awarding a $50 Amazon/BN gift card to a randomly drawn winner via Rafflecopter during the tour. Please do take part: comment on our post and follow the tour where you will be able to read other excerpts (☀), interviews (ℚ), reviews (✍) and guest blog posts (✉). Georgia Richards lost hope of ever seeing her husband again since he disappeared over a year ago. 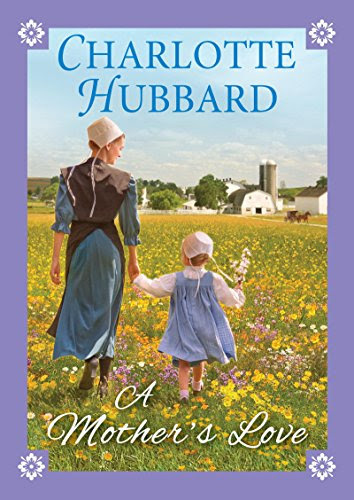 Thank you for joining us on the Scavenger Hunt Tour for A Mother's Love, an Amish Inspirational Romance by Charlotte Hubbard (28 March 2017, Kensington , 368 pages). 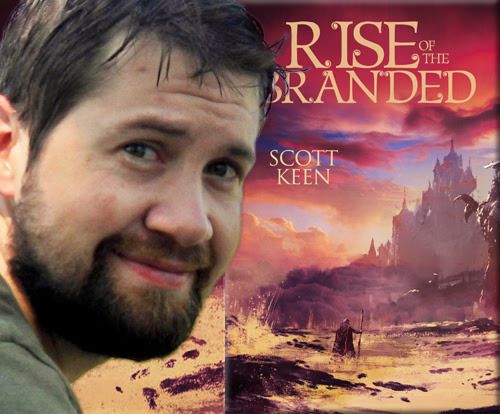 Today we have the pleasure of meeting up with author Scott Keen to talk about Rise of the Branded (22 November 2016, WiDo Publishing, 292 pages), a Young Adult Fantasy, book two of The Scar of the Downers series. “…So happy to continue the adventure of Crick and his friends! I thought the first book, Scar of the Downers, was really engrossing and fun but Rise of the Branded was even more exciting! (Though not a usual fan of fantasy fiction I devoured the book in one day). This action-filled story of their journey of freedom continues to evidence Mr. 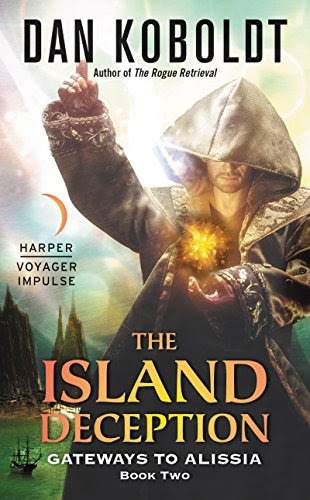 Keen as a really talented writer with his descriptive, interesting, (sometimes scary; sometimes compassionate) casts of characters, navigating dark and perilous lands of danger & intrigue." ~ Joan S.
Authors will be awarding a digital copy of all books on tour to a randomly drawn winner via Rafflecopter during the tour. Please do take part: comment on our post and follow the tour where you will be able to read other excerpts (☀). 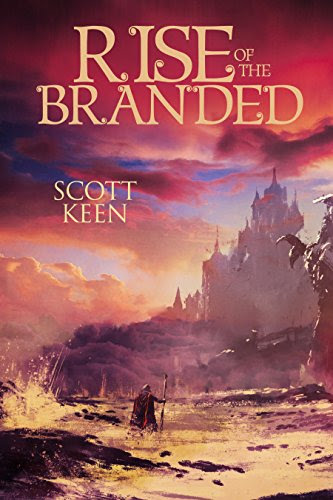 Thank you for joining us for the first day of the Virtual Book Tour for Rise of the Branded, a Young Adult Fantasy by Scott Keen (22 November 2016, WiDo Publishing, 292 pages). This is the second book in The Scar of the Downers series. Don't miss our interview with author Scott Keen. Rise of the Branded is FREE on Kindle Unlimited and Kindle Owner's Lending Library. Author Scott Keen will be awarding a signed copy of Rise of the Branded to two randomly drawn winners via Rafflecopter during the tour. Please do take part: comment on our post and follow the tour where you will be able to read other excerpts (☀), interviews (ℚ), reviews (✍) and guest blog posts (✉).